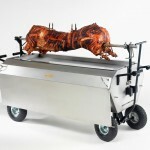 On the hunt for a professional hog roasting machine for sale? 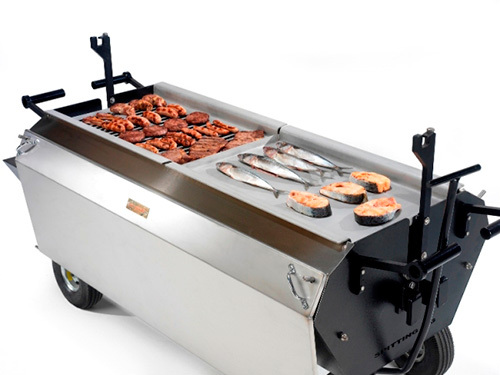 If you’re looking for state of the art equipment trusted by a wide range of catering professionals, we can help. 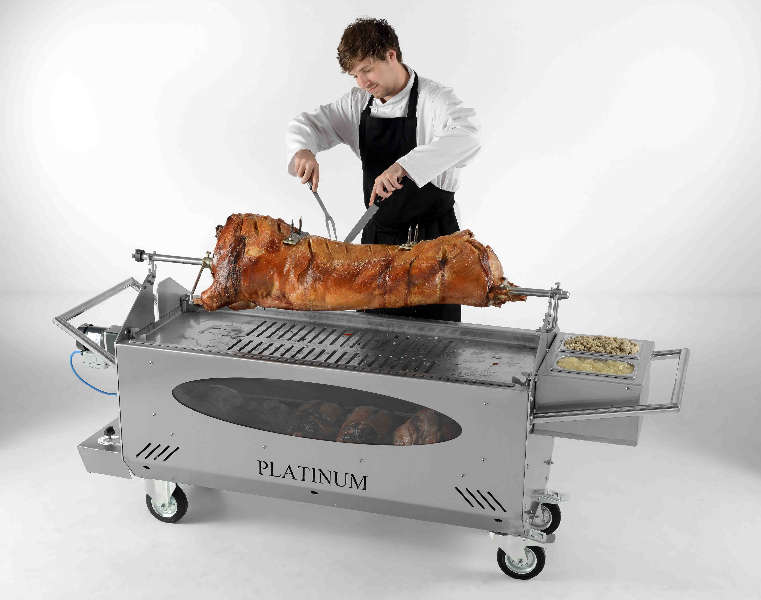 Due to incredible demand, our hog roasting machines are always in stock and ready to dispatch worldwide. We’ve been in the industry for over 50 years! We know how hard it is to satisfy guest’s taste buds when it comes to a special event but there’s something about a good hog roast that never fails to satisfy the young and old. There’s nothing quite like a pulled pork bun with apple sauce and crackling – delicious. 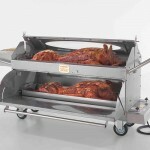 Our machines have been designed by hog roasting experts to achieve the most succulent meat and, with our extension kits, it’s not just hog you can enjoy. 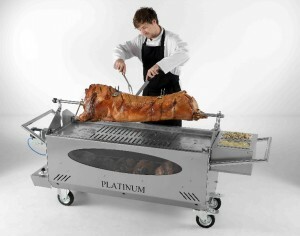 Chicken, beef, lamb and vegetables can all be roasted or barbequed with our Platinum machines and supplementing kits. When it comes to cooking features, our top of the range machines have it all. 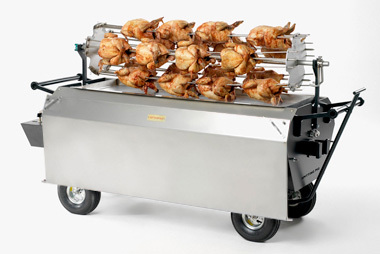 From an impressive roasting tray and spit pole to pneumatic wheels that are designed to handle outdoor environments – ideal for wedding receptions and festivals. 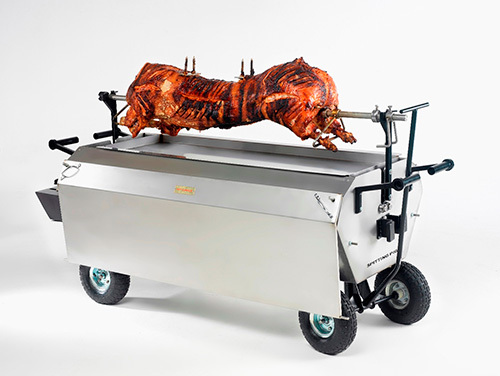 The aesthetics of our hog roast machines have also been carefully considered, with a sleek stainless steel exterior and viewing panels for monitoring your food and providing your guests with a spectacle. Forget the food for a moment, our machines are show stoppers in themselves. They won’t look out of place in the marquee of even the fanciest of weddings, yet their durable enough to handle a muddy festival field. If you are catering an outdoor event, we also stock a water proof cover so you can keep your machine dry. 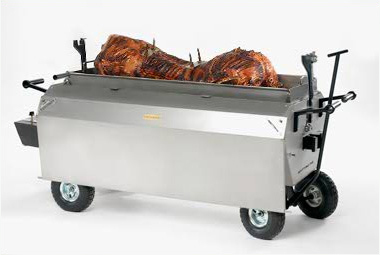 When it comes to a professional hog roast machine for sale, we offer equipment that is easy to use and long lasting; suitable for events catering pros or individuals holding a one-off special event. Get in touch with us today to find out more. 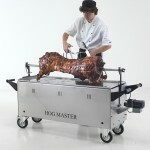 We also offer hog roast machine hire, ideal for testing out our equipment before you commit to buying. If you need the best hog and spit roasting results, you won’t be disappointed. Copyright © 2019 Hog Roast Machine For Sale . All Rights Reserved.